“It is not now as it hath been of yore.” Yes. You may remember First Corinthians 13:11: When I was a child, I spoke as a child, I understood as a child, I thought as a child, but when I became a man, I put away childish things. If you are “putting away” Intimations of Immortality, it stands to reason that as you mature, you are left with Intimations of Mortality. I am thinking along these lines because of a DVD that reached out and grabbed me as I was browsing in my local library. 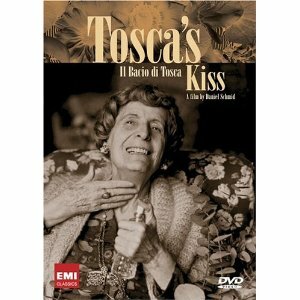 II Bacio di Tosca, Tosca’s Kiss was the DVD. According to the notes on the case, the movie was about the residents of the world’s first nursing home for retired opera singers founded by Giuseppe Verdi in 1896. Listening to the retired opera singers reprise the arias that they sang to standing ovations, looking at scrapbooks of their glory days, watching the retired prima donnas preen in their furs, but noting their tremors and canes and bodies on the verge of betrayal, my emotions swung between joy and sorrow. And in the end, I was left with intimations of mortality. Tosca’s Kiss is bittersweet. I picture small, red, bittersweet berries, shrivelled at this time of year, hanging on for dear life despite being battered by the wind and snow. The wind and snow and ice here in Westcliffe also hangs on. 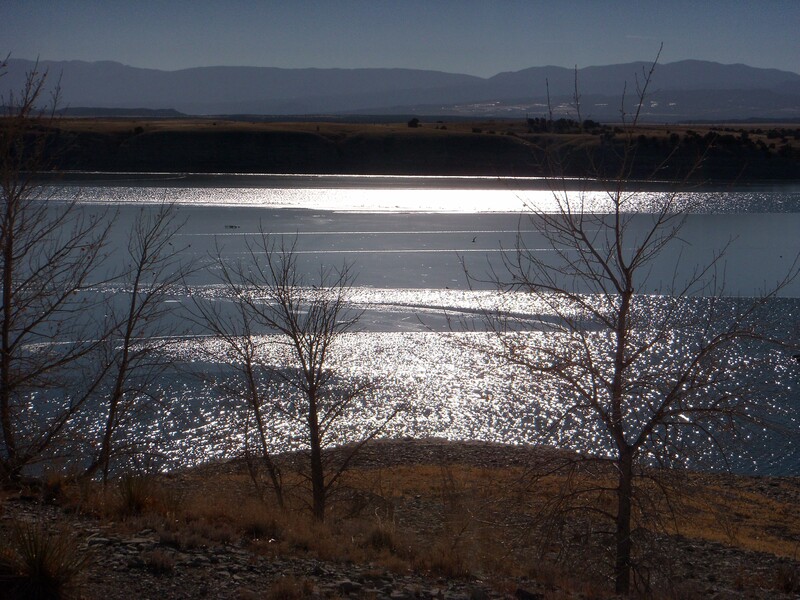 Last weekend I went “down below” (a drop of some 3200 feet) to the Pueblo Reservoir where we hoped to spot bald eagles. Some 1200 bald eagles winter in Colorado. The relatively mild winters, the fish and the ducks draw them to Pueblo over the winter – come March they will fly north. The official Lake Pueblo Eagle Days are this coming weekend, February 1-3. But we jumped the crowd. The setting was serene. We only spotted five eagles. But given that at one time the bald eagle was listed as endangered, we were thrilled to see what we saw. The ice had given way to water, and the contrast between the ice and water… the play of light on the icy water was beautiful. Looking one more time at the DVD case, I noted a review of Tosca’s Kiss by The Christian Science Monitor. “This is one of the most insightful, life-affirming, and just plain entertaining movies ever made on the subject of old age, music, and the capacity of art to uplift and sustain the human spirit. We can dither over Immortality vs. Mortality, but we cannot disagree on the capacity of art to uplift and sustain. Tomorrow I pass the DVD on to another music lover. Going back to the First Corinthians quote, what childish things have you put away in your maturity? What have you gained? What have you lost? Write a piece in which something cherished in childhood is lost. This entry was posted in Uncategorized and tagged Akseli Gallen-Kallela, bald eagle, First Corinthians, Giuseppe Verdi, Intimations of Immortality, Jon Snow, Lake Keitele, Lake Pueblo Eagle Days, The Metropolitan Opera Live, The National Gallery - London, Westcliffe Colorado, William Wordsworth. Bookmark the permalink. can I watch it – can i please, pretty please??? Sound intriguing – I’ve never heard of it. Certainly! I can’t imagine that�the DVD�will be checked out all that often. I’ll�be sure to pick it up and have it with me at our next meeting.